In addition to single player Arcade, Training and Mission modes, a visually stunning and immersive cinematic Story Mode will put players at the center of both universes as they battle for survival against a sinister new threat. 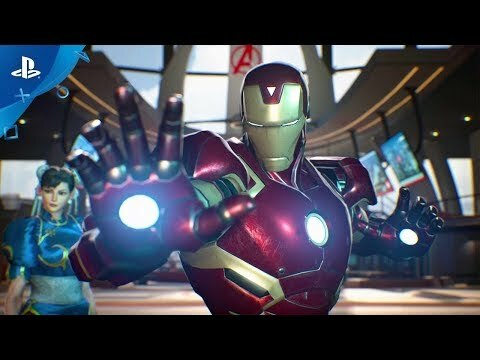 More characters join the previously announced roster (Captain Marvel, Iron Man, Captain America, Ryu, Mega Man X and Morrigan) in the battle for survival including Hulk, Thor, Hawkeye, Rocket Raccoon, Chun-Li, Strider, Chris Redfield and Ultron. Captain Marvel fans, PlayStation 4 is the only place you’ll be able to don the exclusive Major Carol Danvers Costume! Before she was saving the universe, Carol was an accomplished U.S. Air Force pilot who could often be seen sporting this flashy jacket and shades combo. Scrap in style! Universes collide once again in this all-new crossover clash for the ages, where players select their favorite Marvel and Capcom characters and engage in accessible and free-form 2v2 team battles, which allow for new gameplay dynamics never-before-seen in the franchise. Choose one of the six powerful Infinity Stones from the Marvel Universe to influence the outcome of battle. Each Infinity Stone will customize characters with unique abilities and powerful game-changing effects that can quickly turn the tide of battle. In addition to the cinematic story experience, players can hone their skills in a variety of accessible single player modes, including Training, Mission, and Arcade modes. Also comes with an exclusive PS4™ theme! 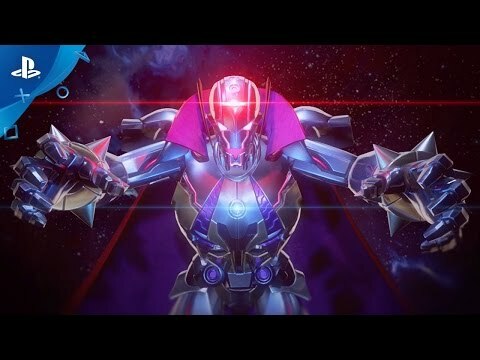 The Deluxe Edition includes the main game on PS4 and a 2017 Character Pass, which contains access to six all-new additional post-launch characters including Sigma, the main antagonist from the Mega Man X series. Also comes with an exclusive PS4™ theme!